Most of us are accustomed to buying used goods - who doesn't love a bargain?! 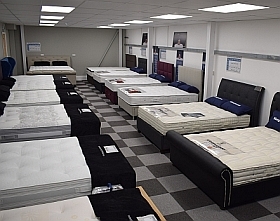 Clothing, cars and furniture are all popular things passed through owners, but there are a few things you should avoid buying used, and a mattress is one of them. The color you paint your bedroom walls can set the atmosphere and have direct effects on you both mentally and physically. Chromotherapy, or colour therapy as it's also known, can be used to help you choose what colour you should use to help you create the perfect bedroom. Tiredness isn't just caused by lack of sleep, your tiredness could be linked to an underlying condition or a specific lifestyle choice. See below what the most common causes of tiredness are.